One of the things I love about our style and color community on Facebook is that even when my ideas are challenged and I disagree with someone, it usually leads to a better and deeper understanding of the Kibbe system. Recent discussions have led me to crystallize what I see as important parts of the Kibbe system. The way I see it now (and I emphasize “I”; I know some will disagree with me), your Kibbe and the way it works on you specifically is made up of three parts: line, essence, and style. I know that I have come across as anti-essence before, but I think I really just didn’t understand what essence was, even though in the post I linked to, you can kind of see how I’m dancing around it. Line is your body lines and facial features. Look at the examples in the book and try to see what the women he placed in one type have in common. Is the vertical line long or short? What is the shape of their torso? And so on. This is how type is decided. What recommendations will suit you is determined by what belongs on your face and your body. Essence is the impression that these lines create. It is what creates the personality stereotype Kibbe discusses in the description, which may or may not apply to you. What essence does is create something akin to a seasonal color palette. It is easy to understand that what looks high contrast on a Soft Summer person would look low contrast on a Bright Winter person. Image Identities work the same way. What looks normal and casual on a Natural type would look sloppy on a Classic type. What looks normal and casual on a Romantic type would look formal and fussy on a Natural type. Style is taking your personality, preferences, and the look you want to achieve, and understanding how to express it within the parameters of your Kibbe Image Identity. So let’s say that you, like a commenter on my last post, are an SD who wants to be comfortable and a bit boho, and you don’t want to wear heels all the time. You would feel more comfortable in FN, but understand that you are an SD and look fabulous in it. So what do you do? Here’s what I would do. What’s SD’s version of a jeans-and-a-t-shirt look? Probably one of your draped tunics, in a comfortable fabric like jersey (ignore the necklace in the example in the Polyvore set). I’d do it in your dark neutral for maximum drama. Then I’d continue the line with leggings (or another comfy SD pant of your choosing) in the same color or a similar one. I’d take the ultimate lazy shoe, the flip flop, and find one in patent level with a snakeskin print, bringing it to the SD level of chic drama. I’d take Natural’s perfect gem, turquoise, and find a statement bib necklace with turquoise-colored stones cut to be faceted. I would then take one of SD’s favorite motifs, snake jewelry, and find that in turquoise as well. Lastly, I would wear your version of a red lip, because if you don’t want to bother with a full SD makeup look, a good bold lip, some mascara, and as much brow drama as you can wear and still look normal should be enough. This is just as comfortable as a Natural look, and has some Natural elements, but it is done through the parameters of the SD style “palette.” I even think an FN could wear that necklace. But they wouldn’t wear it to the park or the grocery store, like an SD. They’d wear it to a nice dinner or a formal event. The FN style parameters are different, and if a certain piece works, it’ll still look totally different on them. One last example. 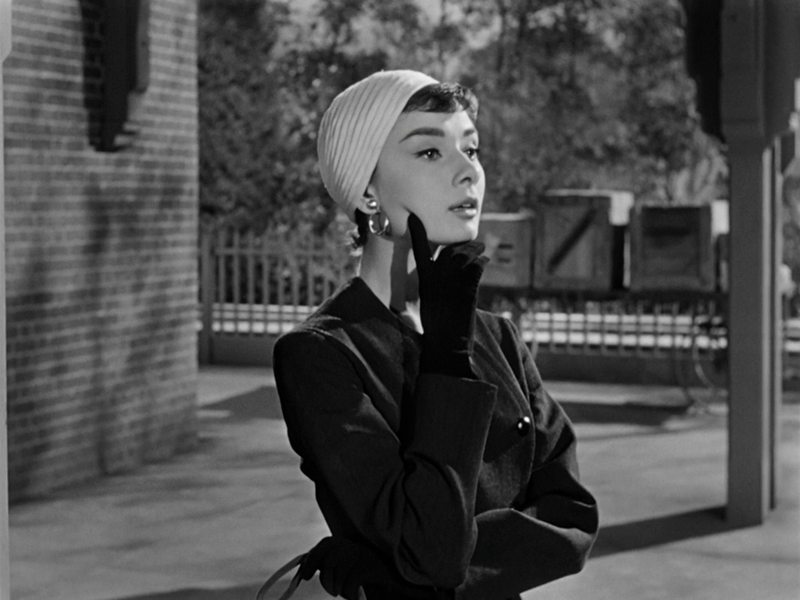 Many were surprised when Audrey Hepburn was revealed to be Flamboyant Gamine. Visually, to me she fits perfectly, even if she is a bit taller than average. But she is seen as one of the icons of classic, chic dressing of the 20th century. How could she be a zany FG, the Image Identity often associated with punks? Let’s look at one of her looks from the movie Sabrina. Givenchy did an amazing job of creating Flamboyant Gamine looks that are chic and sophisticated and classic, yet still FG (even if Edith Head took all the credit). Here she is when she makes her big debut upon returning from Paris. Spoiler alert: William Holden falls in love with her immediately when he sees her. Does she look impossibly chic? Absolutely. 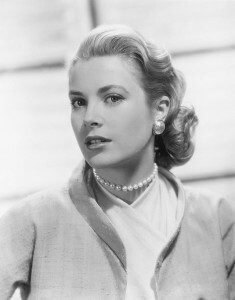 But try to imagine Grace Kelly in a turban, big hoop earrings, huge eyebrows… It would look ridiculous on a classic person. You can express any kind of style you want using Kibbe. You just have to do it in a way that is in harmony with the eseence of your Image Identity. What reads as classic on FG Audrey is entirely different than what reads as classic on actual Classic Grace, and her classic would look stuffy on Audrey. But the actual effect of these two women’s versions of classic is basically the same. In the book, Kibbe says we can express the infinite (our selves, our personalities) through the finite (our type). That is where essence comes in. It defines the boundaries of what will make sense on you, and how styles will be perceived. It defines your type’s palette. I don’t think it is the gestures we make, or the way we speak. There is always a wide variety in any type–Shirley MacLaine and Cindy Crawford are very different women, but they are both just as FN. Essence is simply the style version of the hue/value/saturation levels in our palettes. How do you manage to express yourself within your Kibbe Image Identity? I think this post is spot-on! It makes sense to me that there needs to be congruency between the 3 categories you mentioned, or something feels off. I’ve had a hard time admitting I’m a Soft Dramatic, just because of rarely having a reason to get dressed up. So instead of resigning myself to yoga pants all the time, I now have a uniform, of sorts. Solid colors defined by my Bright Spring palette (including black), dark wash jeans, sparkly jewelry, and soft hair. My favorite top is a black drape neck tee that I wear with sparkly pocket jeans and ballerina flats. I accessorize with a delicate watch and drop earrings (but not a necklace, I rarely wear them). If my hair isn’t down and soft and wavy, I wear it in a high ponytail or a bun. That’s how I try to dress during the week. Working from home, I allow myself yoga pants days, but I try not to let that happen all the time. For dressier occasions I really go all out on the jewelry and the makeup and the hair with a stylish LBD, but those occasions are few and far between. When I am home, I wear home clothes (sweatpants/yoga pants). I always change as soon as I get home, even if I’m working from home. I know some people say you will be more productive if you are dressed for work, but I was just raised to never wear street clothes indoors and I can’t do it. What a great explanation! It helps me to think of there being a sort of style component grid (containing your particular type’s sub-palette) in the same way that there might be a color wheel that contains all of the seasons’ colors. I imagine it kind of like that Kibbe chart where the X axis is “dramatic romantic”, and the Y axis is “blended contrasting”. Thanks for the casual SD ideas. It’s really useful to me to break it down the way you did! This is really opening a new way of thinking for me. So thank you again! I was thinking about charting variables, and it occurred to me that SD body lines might be described as “long and curvy, soft-but-bold” which is in turn what you want your clothes to echo. Which is a useful way of thinking about how I should dress, for me, more useful than trying to think about specific pieces. If I can just remember “long vertical line”, “soft fabric that drapes over curves”, I think that probably gets me into good-enough styles a lot of the time. I wonder if that’s a way to think about charting out the variables. If SD is “long and curved” lines and soft-draped clothes, would, say, Soft Gamine then be “short and curved” lines that are more structured/tailored in clothes? Aww, I’m glad it helped you!